Remote Economic Participation will be discussed at an upcoming Australian Regional Development Conference, to be held in Albury in October 2014. The call for abstracts is now open and includes streams on economic and community development. The conference focuses on regional, rural and remote economic and community development and sustainability. Specifically presentation on solutions and issues that address social and economic disadvantage in remote Australia will be of interest. Presentations on the Australian Government’s national ‘Closing The Gap’ priority policy, which aims to halve the unemployment, welfare and other differences between Aboriginal people in remote areas and the rest of Australia will also be of interest to attendees. Also presentations on human geography; social science; systems science; spatial and quantitative modelling; demographic modelling; education systems; regional economics; business modelling; policy analysis are welcome. The conference aims to increased awareness in regional and remote areas of Australia of economic development; increased capacity for regional areas; promote collaboration of the synergies between regional and remote and urban areas; raise discussion on training, and employment and provide equal focus on economic and community development. Mental health problems cause profound suffering and are worthy of attention for that reason alone. But despite policy and service reform, such problems remain as common, expensive and disabling as they were a decade ago. Bad mental health erodes financial and personal resources, and undermines resilience and adaptive capacity in affected families, workplaces and communities. So it’s vital to foresee threats that might compromise mental health. Climate change is one such threat. Our world faces potentially catastrophic warming and we have limited capacity to adapt to rapid or extreme climatic changes. As the world’s most variable climate, our continent is the canary in the mine. We have a need and an obligation to invest in understanding and responding effectively to this threat. Weather-related adversities are harmful for well-being – and for resilience – and they disproportionately affect locations which (and people who) already labour under multiple adversities. 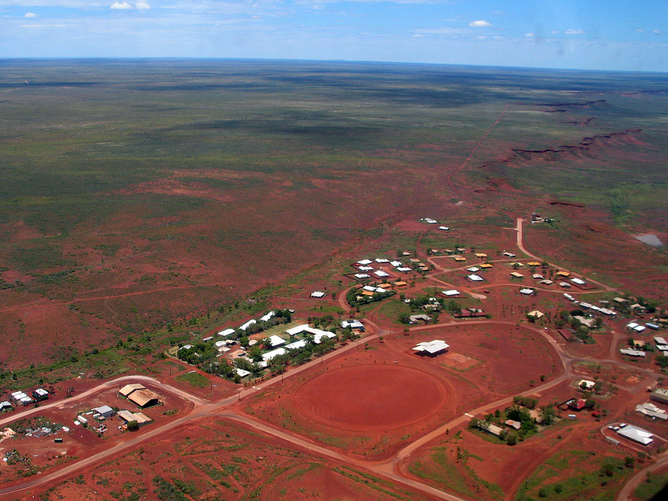 As a result, mental health is of particular concern in rural and remote Australia. This is a major worry. But growing awareness of what climate change could mean might motivate Australians to cooperate to reduce carbon emissions and to get ready for change. Mitigation or adaptation activities, while useful in themselves, might also have important, unexpected benefits for mental health through increases in social capital and community connectedness, which is generated when people come together to solve problems. Rural communities often do well at connectedness but are vulnerable to poor health due to socioeconomic disadvantage, reduced access to health services and a culture of stoicism that puts people off seeking help. Climate change can play into this dynamic. It may affect mental health by making weather-related disasters more intense and terrifying; it may also harm physical health and community well-being. Damage to land and buildings can create economic pressures that force people off their farms or out of their businesses. When this happens, communities’ social infrastructure is at risk. It is this last link in the chain – a loss of social capital and connectedness – that hits mental health hardest. More worrying still (and this is where rural and remote Australians are again particularly at risk), weather-related disasters discriminate. Vulnerable people and places are worst affected, especially those most reliant on the land. In Queensland’s “summer of sorrow”, poorer people and those living in rural and remote locations were more severely exposed to Cyclone Yasi and the floods, and they suffered greater trauma and distress than other Queenslanders. To respond effectively to this challenge, it makes sense to pay special attention to people and industries over-represented in rural and remote Australia, especially Aboriginal people, farmers, miners and tourism operators. The evidence base for these groups is small-to-non-existent but there has been some systematic consideration of the first two. Stigma, lack of appropriate services and the expense of delivering services in remote settings make it impossible to adequately address Aboriginal people’s mental health needs solely through a mainstream medical approach. And, mainstream approaches fail to accommodate the relationship between Aboriginal well-being and connectedness to land. Thinking about drought, for example, New South Wales Aboriginal communities described climate change as presenting unique adversity that compounds existing marginalisation. At the same time, drought prompted increased love of and concern for land and a renewed enthusiasm for expressing connectedness to it. Separately, there are clear and credible signs that farmers’ health and well-being may be compromised by climate change-related adversity. Drought, economic hardship and out-migration has left an ageing farm population, altered the social structure of many rural communities and damaged personal and community morale. These pressures exacerbate the substantial stresses and uncertainties inherent in farming. Farmers’ poor sense of future is of considerable concern because of its possible links to hopelessness and suicide. The social, economic, environmental and health care costs of climate change-related adversity are potentially unmanageable in the long term. Research will need to consider these factors systemically if it is to contribute to solutions that will work in the real world. So what should Australia’s priorities be for weather-disaster related mental health research in rural and remote Australia? Neither individuals nor governments alone can solve these problems – a local level of action and intervention is necessary. Galvanising and sustaining effective community action is difficult. It will require support from different levels of government and scientific evaluation to understand what works and how. If successful, however, such investment could return dividends for people and places – and a sustainable future for rural and remote Australia. Helen Louise Berry does not work for, consult to, own shares in or receive funding from any company or organisation that would benefit from this article, and has no relevant affiliations. More than half of the road fatalities in Australia occur on rural roads, and the greatest investment we can make to mitigate this is reducing speed limits on many of these roads. Indeed, fatal crashes and the cost of all road trauma on rural roads could be reduced by about 34% if speed limits reflected the type of road the vehicle was travelling on. I recently completed an analysis that worked out the economically optimal speed for each road and vehicle type, that is, the speed that minimises the total costs of road trauma, travel time, air pollution emissions, and vehicle operations (principally fuel costs). A key factor in my research was valuing road trauma at a much higher cost ($8.03 million per fatal crash) than has been previously used in Australia. The values I used reflect what society is “willing to pay” to prevent serious road trauma. This approach is used in many developed nations such as United States, the United Kingdom and New Zealand, but not yet officially in Australia. It’s based on surveys that measure people’s preferences for reducing the risk to their lives versus benefits forgone (such as money invested in safety equipment). Internationally, it is now considered to be the most valid approach to calculating the cost of road accidents. There are periodic public calls for more time and effort to be invested in developing countermeasures to the rural road toll. In fact, the single most effective investment we can make is spending more time on our journeys on undivided rural roads by travelling at lower speeds. The next most effective action is for the government to invest substantial funding in upgrading rural roads to divided road or freeway standard. The improved safety standard of these upgraded roads would allow the current speed limits of at least 100 km/h to be restored. But in a country the size of Australia, extensive upgrading of undivided roads would take many years and, in the interim, lower speed limits on these roads are essential to significantly reducing the road toll. According to my analysis, the optimum speed on rural freeways is 110 km/h for light vehicles, but only 95 km/h for trucks. On the lower-standard rural divided roads, the optimum speeds are 95 km/h for light vehicles and 90 km/h for trucks. 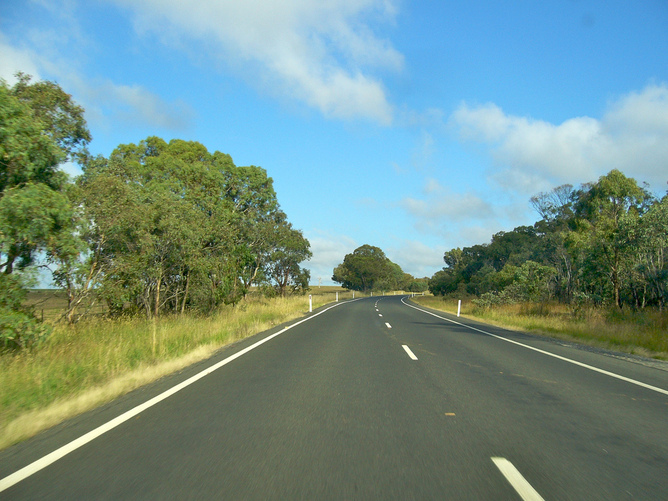 On undivided rural roads (about 75% of kilometres driven in rural Australia), they are 90 km/h for both light and heavy vehicles. But this reduces to 85 km/h on curvy roads, where fuel cost and emissions increase because of frequent deceleration to negotiate sharp curves. In general terms, current speed limits on rural freeways (110 km/h) and other divided roads (100 km/h) are close to optimal for light vehicles, but should be at least 10 km/h lower for trucks. On undivided rural roads, the general speed limit of 100 km/h should be reduced to 90 km/h and sections with many sharp curves should be speed zoned at no more than 80 km/h. Reductions in speed limits would likely be resisted and need to be enforced effectively, but they would produce a substantial fall in the rural road toll. They would also have a positive impact on fuel costs and emission, with only a 13% increase in travel time. It may seem unfair to people who live in rural areas to lower their speed limits. But my analysis took increased travel time into account and the costs associated with it are not infinite. And the gains of reduced road trauma and emissions will mitigate some of them. The problem is that the gains are not tangible – at least not until road trauma affects you or someone you know. We don’t need to just look to the government to reduce the rural road toll. We can make a difference ourselves by investing more time in our journeys on rural roads, particularly on Australia’s mostly undivided roads and when driving heavy vehicles. Max Cameron does not work for, consult to, own shares in or receive funding from any company or organisation that would benefit from this article, and has no relevant affiliations. Women living in urban areas may take for granted their relatively easy access to family planning services that provide information and ways to freely determine the number, timing, and spacing of their children. For women in rural areas, the picture can be very different. Recent research in rural Victoria found these women face extra hurdles and feelings of “judgement” when seeking out these services. The project I worked on with Dr Julie Kruss investigated the barriers for women seeking emergency contraception, pregnancy termination or pregnancy-related options counselling in rural western Victoria. Options counselling refers to services that explore available alternatives regarding an unplanned pregnancy. We conducted in-depth interviews with health professionals and others whose current employment was connected to the issue of family planning, including nurses, doctors and counsellors. These frank discussions focused on issues they had witnessed for women accessing family planning services. The study highlighted an overall lack of women’s health services in rural communities, as well as some alarming patterns in reported barriers to accessing them. A significant issue was the feeling of being “judged” by health professionals, with some doctors refusing to make referrals based on their own moral judgement. Other doctors were suspected of deliberately delaying women’s access to abortion, for example by sending them for multiple ultrasounds, and withholding information about how to access appropriate services. As time is of the essence in reaching decisions about an unwanted or unplanned pregnancy, delays can obviously compromise timely decision-making. The experience of being blocked produces distress and reduced self-efficacy, but can also turn women off accessing these and other health services altogether. There were also examples of doctors who agreed to perform an abortion but then warned the patient that it wouldn’t be carried out if there was a “next time”. Threatening to withhold a health service on the basis of what is acceptable to the doctor’s moral judgement breaches medical ethics. The doctor starts to “play God” in more ways than one by assuming the power to provide or withhold a service (or information), and by imposing a moral judgement on a patient’s behaviour. While these issues could arise anywhere, the problem is compounded in rural areas where there might only be one doctor in a town and limited opportunity for a second opinion. There were also examples of misleading information being provided to women in rural areas. One pharmacy distributed scary pamphlets on emergency contraception that were not evidence-based. Elsewhere, myths about abortion leaving women infertile were still being spread, despite declarations by medical bodies such as the Royal Australian and New Zealand College of Obstetricians and Gynaecologists (2005) that there’s no proof of such links if abortion is conducted by a medical professional in a medical facility. It’s clearly a major concern if women cannot trust the information they receive from health professionals. It also became apparent through the research that differences in cultural norms between city and country created more barriers for women in accessing the support and information they needed. Privacy, for instance, was a frequently raised issue; it’s hard to seek emergency contraception or termination in a small town where everybody knows everyone’s business. Rural communities might also be more conservative and less likely to talk about sexual health issues in general. People can be wary of change, which makes it difficult to develop a new service, especially one such as sexual health. Young rural women may have fewer educational and employment options, and this may normalise and validate the cycle of early pregnancy. Beyond the barriers related to judgemental attitudes and limited availability of family planning services, rural women were seen to confront a number of interconnected, practical hurdles. For example, if a woman must arrange childcare while travelling to Melbourne, she may struggle to find the money and have to reluctantly confide in friends and family, all while taking time off work. All this adds to her financial stress. The title of our study “Country women are resilient but….” referred to one comment that, just because they do tend to deal well with adversity, women in rural towns shouldn’t have to put up with these extra burdens, and the added distress, when accessing family planning services. More open and widely available education campaigns on the prevention of unwanted pregnancy, as well as normalising pregnancy termination within the service system, could be ways forward. Changes to service delivery, such as having family planning professionals visit rural areas and incentives for rural doctors to train to perform terminations, could be other possibilities. Whatever the solutions, these issues are real and need to be addressed. The longer these barriers continue and are not openly discussed, the harder is it is for women to make timely decisions about pregnancy. At such a stressful time, the emphasis needs to be on timely, accurate, evidence-based and judgment-free advice and support. This is what women in the city expect and can readily seek out. Women in rural areas deserve the same choice. Acknowledgement: The research discussed in this article was completed as part of Dr Julie Kruss’ doctorate in community and health psychology. Dr Kruss also contributed to this article. Heather Gridley does not work for, consult to, own shares in or receive funding from any company or organisation that would benefit from this article, and has no relevant affiliations. To outsiders Western Australia may appear as a state with a buoyant economy riding a wave of mining and energy investment, but away from the resources sector things are tough. Over the past few weeks the WA Premier Colin Barnett has had to hold crisis meetings with farmers across the wheat belt. The impacts of the high Australian dollar, low commodity prices and poor seasons have combined to make it tougher than usual for the rural producers. 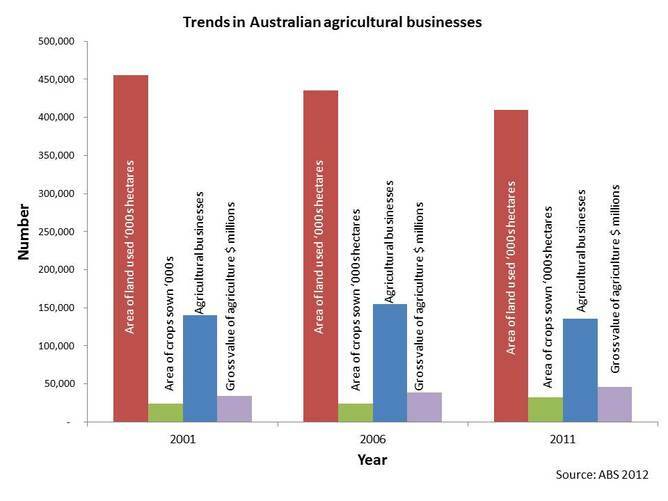 The Australian Bureau of Statistics (ABS) estimates that there are around 137,447 agricultural businesses operating across Australia. Over the past decade their numbers have decreased by about 3.5% and there has been a decline of around 10% during the same period in the amount of arable land used for farming. For example, in 2001 Australia had some 456 million hectares of land committed to farming, but by 2011 this had fallen to 410 million hectares. Despite these falls in the number of farms and the amount of land used for farming, the overall productivity of Australia’s farmers has increased substantially. The amount of land used for crops has grown by 31% despite the reduction in overall land used, and the gross value added from agriculture has risen by about 34% since 2001. These trends can be illustrated in the following graph. This suggests a trend in which the number of farms operating across Australia has shrunk but those that remain have become more productive. These trends are likely to continue well into the future, but there are some serious challenges facing the nation’s farmers that deserve greater attention from our political leaders. It was part of the discussions that took place on 10 April at a “Food 2050” symposium held in Perth by the UWA Institute of Agriculture. This drew together a cross-section of experts in a range of fields who examined the challenges facing farming communities and the longer term security of our food production system. My task was to address the issue of the state of rural enterprises and this article is based on the speech that I gave there. Lying at the heart of the crisis facing the WA growers, and impacting on rural enterprise across Australia, is what has been described as the “farm problem”. The problem is caused by the interplay between rising agricultural productivity and the inelastic nature of food demand. This has led to continual decreases in real farm prices and decreasing returns to farmers. Increasing competition in the food market has meant that any efficiency gains made by producers within their farm businesses are actually captured more by the consumer than the producer. To counter this trend farm enterprises have sought to expand their area of production, develop new or additional crops or pastures, or grow large via the amalgamation of farms. This has led to the “get big or get out” mindset that has occurred across many of our rural areas in past decades. However, many farmers lack the financial capacity or the opportunity to expand their business operations. This will result in a few much larger farms and the smaller farms that still exist will generate only minimal income. To understand the forces that are impacting on our rural enterprises it is important to take a look at the current state of the global food system. Despite farmers experiencing difficulties with farm gate prices the actual price of food rose significantly over recent years. The diagram below shows the Food Price Index of the UN Food and Agriculture Organisation (FAO), which illustrates the trend. 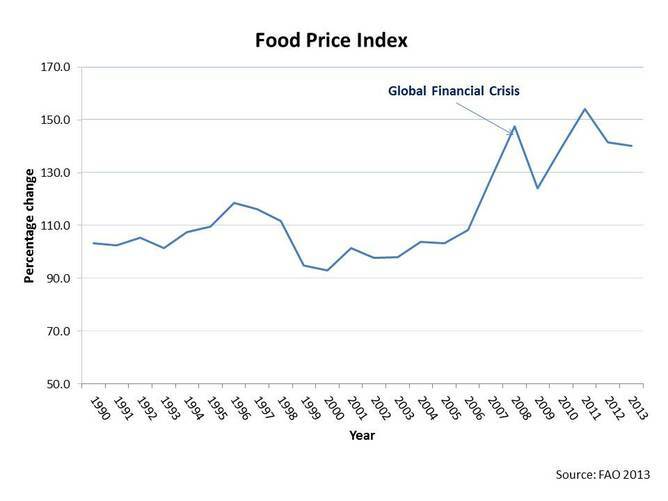 Between 2006 and 2008 global food prices increased significantly and despite the Global Financial Crisis (GFC) impacting on many other commodities the overall price of food has not declined, in fact it rose again sharply in the period from 2009 to 2011. Wheat prices rose by almost 30% and the price of corn was pushed up due to extreme weather conditions in the United States and Ukraine. Another problem is the productivity within agriculture at a global level. Many rural producers around the world are undercapitalised and lack the land or technology to significantly enhance their efficiencies. The food to people ratio of productivity is estimated to need to rise by 70% over the next 40 years if food production is to match supply. In a study of the future of the global food system published in the Philosophical Transactions of the Royal Society – Biological Sciences in 2010, Charles Godfray and nine colleagues over viewed the current and future state of play for the world’s food system. 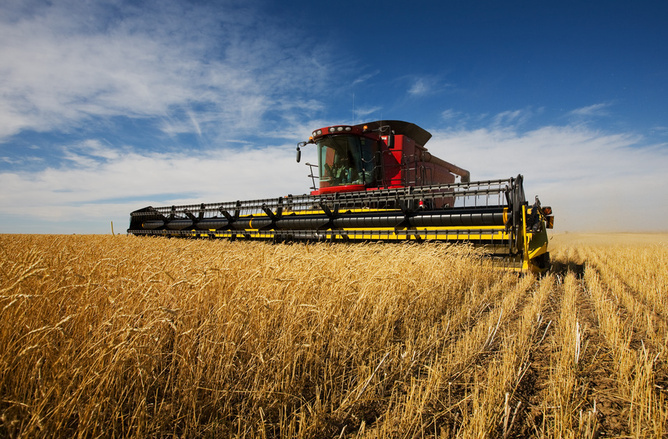 A further report by The Institute for the Future published in 2010 and authored by Miriam Avery, Bradley Kreit and Rod Falcon, projected key trends in the global food system over the next 20 years. According to these analyses there are a number of forces likely to shape the global demand and supply of food over the next 40 years. The first of the factors driving demand is the rising population levels around the world. By 2050 the world’s population (currently just below 7 billion) will rise to over 9 billion people. China will be expected to see its population peak around 2030, but India’s population will keep growing and the population of Africa is expected to double. For countries across Europe and for Japan the outlook is for population decline. The rise in population will not only see a demand for more food, but there will be a growing demand for more luxury foods such as meat and dairy, and for foods to be supplied out of season via global supply chains. The growing population will increasingly live in major cities and there will be a growth in supermarket and fast food retailing operations. In short, people will be wealthier and they will want more processed food, and exotic foods with a change in diets from primarily vegetarian to more meat and protein foods. The ability for rural producers to meet this rising demand will depend on a range of factors of which one of the most important is the ability of farmers to keep increasing crop yields. Over the past 50 years there has been a dramatic increase in crop yields; however the rate of such increases has slowed each decade. Our farmers’ capacity to produce more food by 2050 is likely to be dependent on R&D that can result in breakthroughs in technologies and farming practice. This will require the adoption of new animal breeding and husbandry techniques plus new varieties of crops. 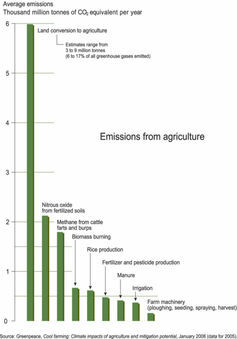 Working against this rise in primary production is the impact of climate change and concerns over food safety and ethics. For example, climate change is already impacting on weather patterns generating floods or drought and while scientists continue to debate the nature of this impact, there are already signs of climate change negatively affecting already fragile river systems and associated fish stocks. In the oceans the supply of fish is also under pressure. There has been a growth in the past 50 years in the world’s fishing fleets and over the past 40 years this fleet has increased sixfold. However, most of the world’s fish stocks are now harvested to full capacity or over exploited and fish harvests are either static or declining. In many regions there is a decline in soil productivity and the clearing of new farmland is fraught with environmental concerns due to the impact this has on carbon emissions. 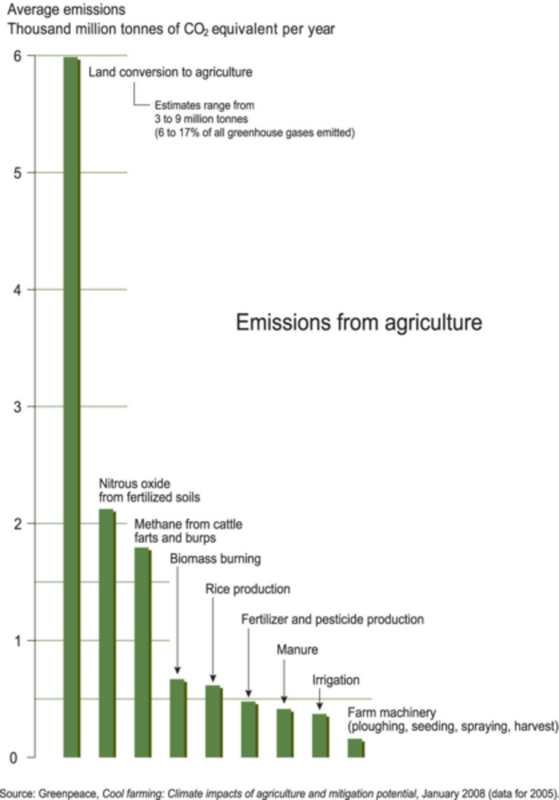 For example, it is estimated that on average the clearing of land for farming leads to net CO² emissions that are 6 times greater than those generated by other forms of land use. This is shown in the accompanying diagram. 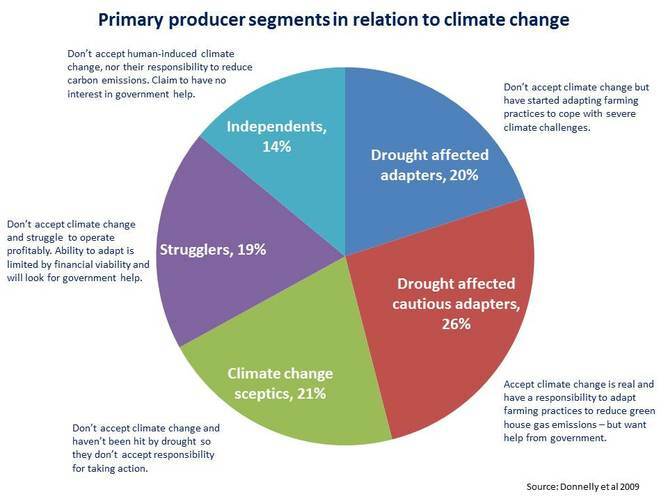 Yet many primary producers are resistant to the challenges of climate change. In a study of Australia’s Farming Future published in 2009 by David Donnelly, Rob Mercer, Jenny Dickson and Eric Wu for the federal Department of Agriculture, Fisheries and Forestry, surveyed 1,000 farmers in relation to their attitudes towards climate change. They also surveyed 1,000 people from urban areas. While 58% of the urban population believed climate change was real and caused by human activity, only 26% of primary producers held this view. As illustrated in the following diagram these farmer groups were segmented into different types of sceptic. Some were sceptical but had been hit by drought and therefore were prepared to start taking action. Others were sceptical and had not yet felt any environmental impacts so they felt no need to take action. The ‘strugglers’ were not only sceptical but had no resources to apply to any remedial action. Even those who accepted climate change science were of the view that government assistance was required to allow them to take action. These attitudes amongst rural producers are important as they will determine how readily many farmers adopt more sustainable farming practices, reduce new land clearing and introduce programs such as enhanced biodiversity of cropping, interlocking crop cycles, dense polycultures, biochar and carbon management. Feeding into this mix will be market based pressures over food safety and the ethical treatment of animals. Consumers are increasingly concerned over use of genetic modification in foods and the safety of foods. The complex nature of food supply chains makes it more likely that accidents will occur. Already there are signs of the overuse of antibiotics in animal husbandry resulting in antibiotic resistant strains of bacteria emerging. High profile cases of food borne illness have an impact on consumer confidence. However, they also result in government regulators and major food retailing groups imposing more stringent food safety codes of practice. These factors impact on rural producers by forcing up the cost of food production and supply. 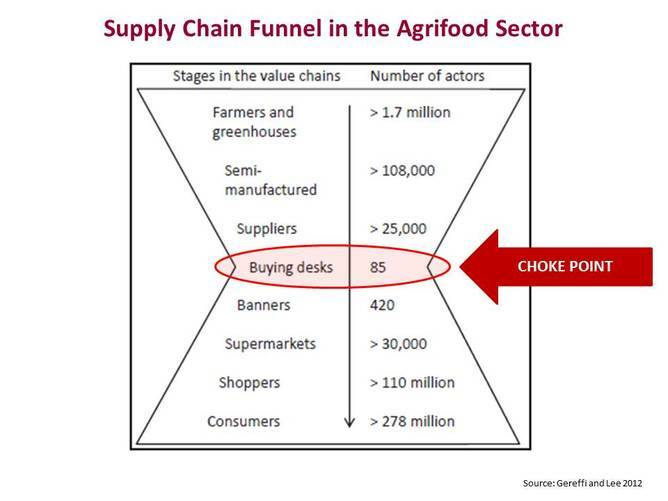 One of the problems facing agricultural producers is the “supply chain funnel” that has emerged in the agrifood sector. As shown in the diagram below there is a “choke point” in the area of buying desks that are increasingly no longer in farmer or government control. The diagram comes from a study by Gary Gereffi and Joonkoo Lee from Duke University in a paper published in 2012 in the Journal of Supply Chain Management on the state of global supply chains. The model is from the European Union (EU), but it shows a trend that is found increasingly around the world. The power of global buyers has also been enhanced by the concentration of ownership into fewer large retailing businesses. These firms and large global buyers now dictate quality and the timing and price of food from producers. Major retailers and buyers will demand more quality and stricter controls over food safety issues. Some will work with small groups of selected, often large scale producers, to supply produce at pre-determined levels of quality, price and delivery times. Many smaller farmers will not meet the necessary standards. Smaller producers who wish to compete in these global supply chains must develop niche markets in order to survive. However, in Europe there is evidence that small producers working via co-operative enterprises can compete. For example, a study published in the American Journal of Agricultural Economics in 2004 by Claude Menard from the University of Paris and Peter Klein from the University of Missouri examined the role of co-operative enterprises. They examined the cases of 7 meat, dairy, fruit and vegetable co-operatives within the EU. It was found that these co-operatives could compete against three major wholesaler and retailer firms that controlled between 40% and 80% of EU markets. They did this via large scale and scope from cooperative action, high investment in R&D and the development of their own producer brands that gave them a degree of marketing control within the retail channels. The first of these will be the mounting pressure on primary producers over food safety and also the need to supply more diverse, wholesome and “authentic” food. This will require producers to innovate and find ways to market their products differently to reflect value adding. The second major impact with be that of climate change. In order to deal with a changing and uncertain climate there will be a need for more biodiversity of cropping and animal husbandry to avoid mono cultures that are less resilient to climatic change. This may see the emergence of regional brands with shorter food supply chains to local markets focusing on healthy, wholesome foods. The third trend relates to the need for rural communities to collaborate for their own self-interest. There is the need to enhance their bargaining power against the concentration of increasingly global buying and distribution organisations. Such supply chain structures leave the farmer with a “price taker” role regardless of their attempts to enhance farm level productivity. The demand for locally grown food may also rise according to some analysts. However, there will still be a need for greater collaboration at the regional level in order to offer flexibility in food production and distribution. It is here where co-operative enterprise business structures can play a potential role. They have demonstrated over time a capacity to empower primary producers and draw together resources to achieve things that might otherwise have not been possible. A final trend is the need for enhanced innovation in farming and land use practices as well as waste disposal methods. Farmers will need to move to more flexible land use, adaptive cropping methods and carbon capture and management processes. This will be assisted by use of information management tools to aid in farm business modelling and the monitoring of markets. In summary the pattern that emerges is one of a globally competitive market with a highly concentrated buyer and retailing channels. Producers will need to get larger, find niches or cooperate. Future sustainability and productivity in the face of climate change, water scarcity and food safety concerns will pose significant challenges. Tim Mazzarol does not work for, consult to, own shares in or receive funding from any company or organisation that would benefit from this article, and has no relevant affiliations.